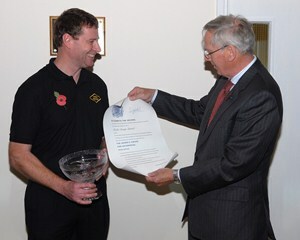 The staff of Radio Design were honoured today, to welcome the Duke of Gloucester to their Shipley, UK headquarters. The Duke, accompanied by the Lord Lieutenant of Bradford, unveiled a plaque in the company’s research facilities to commemorate Radio Design’s achievement of the Queen’s Award for Enterprise: Innovation, 2011. The prestigious and internationally recognised Queen’s Award has been won just four years after Radio Design was founded, and acknowledges the pioneering work of the company’s engineering team. The award specifically recognises Radio Design’s universal RF combiner unit, which enables multiple wireless network operators to share infrastructure equipment and enjoy significant financial, technical and environmental benefits as a result.